The comeback of the bald eagle is a perfect example of a majestic bird's strong spirit and astounding resilience. Not long ago, this bird of prey was endangered. But its numbers have grown in North America over recent years. Now many more of us have the opportunity to see the inspirational sight of an eagle soaring above. 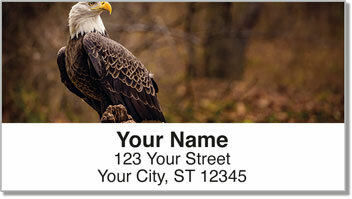 Bald Eagle Address Labels from Check Advantage pay tribute to a symbol of freedom, which is what you'll get a little more of when you use this convenient product. 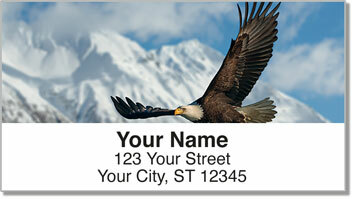 Self-adhesive return address labels save you time and can be used to mark personal property as well. 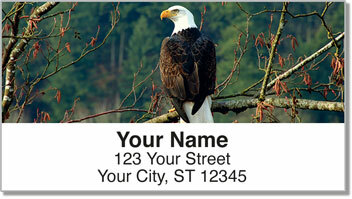 Get your very own Bald Eagle Address Labels now! 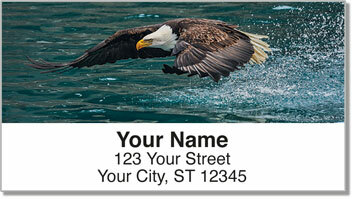 You can also find matching Bald Eagle Personal Checks to complete your order.